Messages for families: Are your loved ones safe? Having a loved one in a nursing home can be stressful and can often make people feel somewhat helpless. Worries can intensify when you hear of the tragic nursing home fire that occurred in Hartford, Connecticut. You can play a role to increase the safety of your loved one. Here are a few things to consider when either choosing or checking on someone already in a nursing home. You have a right to get answers regarding the safety conditions that effect your loved one. Make sure you take the time to ask. Most people think the danger from fire is the flames, however, it is the smoke that can travel quickly to areas far from the fire. It is important to realize that people living in nursing homes may not be able to evacuate because of mobility or other disabilities. 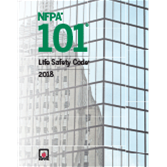 Proper planning, training, and practice of all staff are essential in order to provide for the safety of residents. It is important for staff to know that patient safety is their number one priority. There should be a clear "code word" agreed upon beforehand for the facility to alert other staff in case of fire. 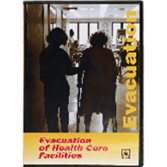 Enable health care staff to react effectively to a fire emergency with the Evacuation of Health Care Facilities Video!